I love art and photography. I enjoy film photography and the opportunity to get lost in the darkroom, but getting my first DSLR camera changed the way I combined my passions for drawing and art. The possibilities to create are endless. After leaving my life in the finance world behind to stay home with my second child, I had more time to explore my love for photography. As many moms will attest, children bring endless opportunities to capture beautiful, but fleeting moments.. I was entranced by the artistic opportunities, and I had to learn more. I traveled the country learning from some of the industry’s best photographers, and a couple years into the business found my calling as a newborn photographer. Through intensive training, I earned a certificate of recognition as a Professional Newborn Photographer. 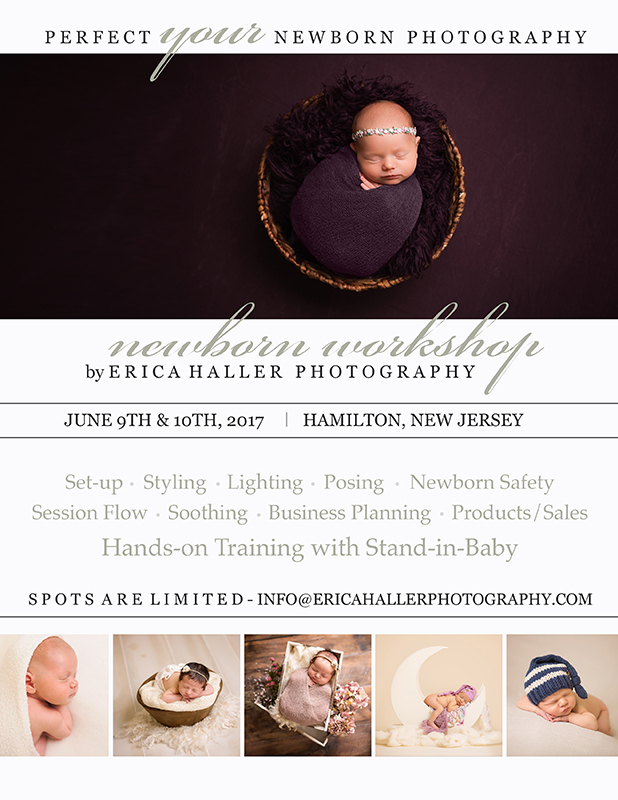 I continue to perfect my craft and help others new to the industry learn about this specialty, including the importance of newborn portrait safety. Since 2009, I have been a full-time photographer and member of the Professional Photographers of America. I love what I do. I am a mom to three grown-up kids, four dogs and two cats. I married my best friend and enjoy holding hands and watching Netflix with him. I love coffee, reading mysteries, scrapbooking and watching cooking shows. My passion is photography, which I have pursued since my last child left for college. I especially love photographing newborns and children. It’s exciting to record them as they grow through different stages. . Capturing the expression that defines their personality is truly rewarding. I feel it is an honor to be able to photograph a moment in time that will be cherished for years to come! Went to college, met a girl. Finished college, married that girl. Had our first kid in 2014 and the second one expected Summer 2017. I think the Godfather II is the greatest movie ever made and Art is my favorite thing in the world. I like taking pictures of people and specialize in headshots here at the studio, but 99 percent of the time you'll find me in the office in front of this 27-inch iMac knee deep in editing from our sessions. Beyond photography I love all kinds of music and have been playing the guitar since the 6th grade. I'll never forget that day my Dad took me to Sam Ash and bought me a brand new 40th Anniversary Stratocaster! I still have it and play it to this day.